By definition, fish live in water and with few exceptions (e.g., lungfish, arapaima) can only extract oxygen from water. As such, it should be no surprise that air exposure is not a “good” thing for fish. Of course, a little air exposure is not going to kill a fish. But what defines “a little”? The answer varies based on many factors. For example, some fish species are simply more tolerant to air exposure than others. Species like common carp and bullhead catfish are able to live in water with very little oxygen and therefore tend to also be fairly tolerant of air exposure — as much as 10 minutes of air exposure or more. And others (such as bluefin tuna, bonefish, and salmonids) are extremely sensitive to low levels of oxygen whether they are exposure to air or exposed to waters with little oxygen. Sensitivity to oxygen can also vary for a variety of reasons for a given species. For example, water temperature influences how much air exposure a fish can withstand. For any given species, fish tend to be able to handle longer periods of air exposure at cooler temperatures than at warmer temperatures. Take bluegill sunfish for example — for a given duration of air exposure, the extent of impact to the fish is always lower for the cooler temperatures than it is for warmer temperatures, and the extent of that difference increases with longer periods of air exposure. 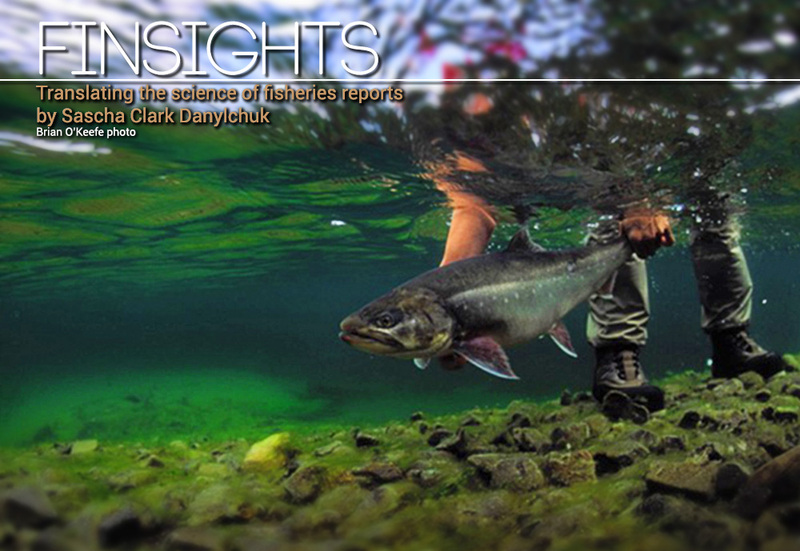 Water temperature is SO important for fish that it is referred to as the “master factor” (See Finsights 14), and it affects all biological processes and is also the reason why some fisheries close when water temperatures exceed a given threshold. The closer the fish are to the upper end of their thermal tolerance range, the more important it is to minimize stress from air exposure. Sensitivity to air exposure can also vary depending on life stage. For example, Pacific salmon are quite sensitive to air exposure during early phases of their upriver migration yet when the approach spawning grounds (literally about to spawn), they become quite resilient to air exposure. The idea that the context matters makes it very difficult to identify a single duration of air exposure to guide anglers in how to handle fish. The default should be “as little as possible”. We are unaware of a biological explanation nor a single scientific study showing that air exposure is good for fish. So, what is a “little”? If we are looking for a single number to apply across the board, the 10 second limit proposed in a synthesis of available data remains the most useful value. The Keepemwet Fishing mantra is about minimizing air exposure and keeping fish wet. Even we scientists love to admire fish and capture the moment just like anyone else. In fact, that was the entire premise for the #keepemwet movement — how fish can be admired in a way that also ensures that they are released in a state where there are likely to survive and thrive. A couple of recent studies have been critical of the existing literature that suggests air exposure is bad for fish. Indeed, some of the older work was done in the laboratory for experimental purposes and some of those studies use absurdly long air exposure durations. Nonetheless, the patterns that emerged from those studies stand — and the patterns are clear — more air exposure is worse than less air exposure. There are some studies that have failed to demonstrate a negative effect of air exposure. For example, a recent press release from a study by researchers at the University of Idaho used the headline “brief air exposure not a threat to fish survival”. The air exposure durations used in that study were 30 and 60 seconds and involved adult cutthroat trout as they approached spawning grounds. The researchers revealed that there was no difference in survival or reproductive success for control fish (no air exposure) and those exposed to air. However, this study, just as many that have come before it, has its own limitations (e.g. they held the fish in tanks before simulating angling, which we know to be stressful,) and is very context dependent (e.g. survival is a whole different ball game when there are predators around). This context was absent from the press release and we are concerned that anglers and the angling media are left with the impression that “fish are tougher than we give them credit for” when in reality the message is that the impacts of C&R are varied and depend highly on species, location, how a study is performed. “Spinning” such findings to get media headlines does nothing to help improve how fish are handled by anglers. In fact, it does the opposite — it creates confusion. We greatly encourage all anglers to be careful and not take press releases such as this at face value. We await a study that provides evidence that air exposure is good for fish — that it benefits them in a biologically meaningful way. There are many ways in which anglers can interact with fish and capture the moment forever without extending air exposure beyond 10 seconds. Let’s #keepemwet. Lately, I’ve been thinking about a conversation I had a while ago. Partly out of guilt, because I have been a Science Ambassador for Keepemwet for quite some time and have been a fairly silent contributor of late, and partly because the issue of responsible fishing is always on my mind. When you work in this field for a while, you learn that you can’t be militant about responsible fishing practices. There is simply too much variation in recreational fisheries to know what genuinely good practice is in every single situation. We have some great guidance papers, like Elmer et al. 2017, Brownscombe et al. 2017, and Sims and Danylchuk 2017 (2017 was a good year for best practices research, apparently!) and each of these offers a different take as well as some similar advice. This is a good sign that denotes a lot of agreement among researchers on this issue. An image from the Brownscombe et al. 2017 paper that shows the different choices that anglers can make and the items they can have handy throughout the process of catching and releasing (or deciding to keep) a fish. One place where we have some challenges in the field is in the arena associated with individual species. There was a paper by Cooke and Suski in 2005 that asked the question of whether we needed species-specific research to better understand fishes’ responses to catch-and-release. The answer was an emphatic yes, and the authors explored a range of reasons why, including arguing that we see so much variation that it’s difficult to accurately predict how each species will respond in a particular set of circumstances. In terms of variation though, Cooke and Suski pointed out that individual fish respond differently to the same catch-and-release practices, in much the same way that you or I would perform differently if asked to blow bubbles in the water for a full minute, i.e., I would fail miserably and you would probably do fine. As scientists, we’re interested in how the average fish responds to catch-and-release practices like air exposure, but we’re also interested in the range of responses for the whole population that we sample. There are as many potential sources of variation as there are types of responses to catch-and-release, and because of this, Cooke and Suski recommended that we get to work at understanding this variety of responses at the species level. I think the same can be said for understanding best practices at the scale of individual fisheries, which is where this conversation that I had a few years ago keeps popping into my head. I’d made a post on my Facebook page about using nets when fishing. I had noticed a lot of people using cheap lip gripping devices on fish species with soft mouths that had no teeth. I was seeing photos of anglers in my study area using these devices to hoist the fish vertically out of water, and I wondered just how much pressure these cheaply made devices were putting on the fish’s jaws. I’d turned to the research to see if anyone had asked the question about the effects of lip gripping devices on fish and found a few articles that did nothing to alleviate my concerns (for example, Danylchuk et al. 2008, which was discussed here in an earlier blog. I had suggested that these anglers use nets instead, and to keep those nets in the water while removing hooks and preparing to release the fish. My logic was that the fish would be spared potential damage to the jaw and the air exposure being evidenced by the use of lip grippers. The risk was big though: if you’re using nets, you need to use rubberized nets to avoid damage to the fish’s body. Thrashing in a net that is not rubberized can lead to all kind of badness: major loss of slime that protects fish from infection, and physical damage such as slices and bruising being the two most major that come to mind. So, while I was clear to suggest using rubberized nets, I was also aware that these were not common in the area where I work and that I could be suggesting anglers simply trade one form of potential damage for a form of known damage to fish. This advice didn’t sit particularly well with me, despite being the one who’d given it. I sat staring at the screen, thinking about phrasing, and wondering if there was a better avenue of action to suggest, when the telltale ping came through on my phone. It was a friend from Australia, also a recreational fisheries scientist, who disagreed entirely with what I’d written. What was of interest to me though wasn’t the disagreement, it was the reasoning behind it. You see, in his area of Australia, fishing mainly in marine waters, many anglers have learned that using lip grippers can be a very good way of avoiding the use of damaging nets, provided the lip grippers are suitable for the species and used properly. Those two provisos are a big deal: these anglers were using good quality devices that were appropriate for local toothy species and they were trained in how to use them properly. By doing so, the use of lip grippers was actually a best practice in the area. Yet in the area where I worked, using lip grippers was decidedly NOT representing a best practice. Best practices are not always universal. Like the Cooke and Suski paper arguing for species-specific research, I spend a fair amount of time arguing for fishery-specific research. We have a good sense of what many best practices are, but we don’t know how these best practices play out in different fisheries, in different communities, in different cultures and countries around the world. All of this means that we have our work cut out for us as scientists. Incidentally, this is also the reason I am such a big fan of Keepemwet and their work. Of all the best practices, arguably the only one that is one hundred percent universal is: keep the fish in the water. When it comes to building local and fishery-specific understanding of responsible fishing practices, that is a great place to start. At Keepemwet Fishing we believe that communication and knowledge sharing between the fisheries science and recreational angling communities is a two way street. For example, anglers can learn more about fisheries science, and scientist can learn about the issues that are important to anglers and this can help inform their research. We need this type of dialogue and interaction to make sure that catch-and-release is effective. Scientists communicate and share their work and ideas through the publication of peer-reviewed articles in scientific journals, and so, here is our first contribution on Keepemwet Fishing to science literature. "There is a growing body of catch-and-release (C&R) science showing that adjusting the way fish are caught, handled, and released can reduce impacts on individuals and populations. 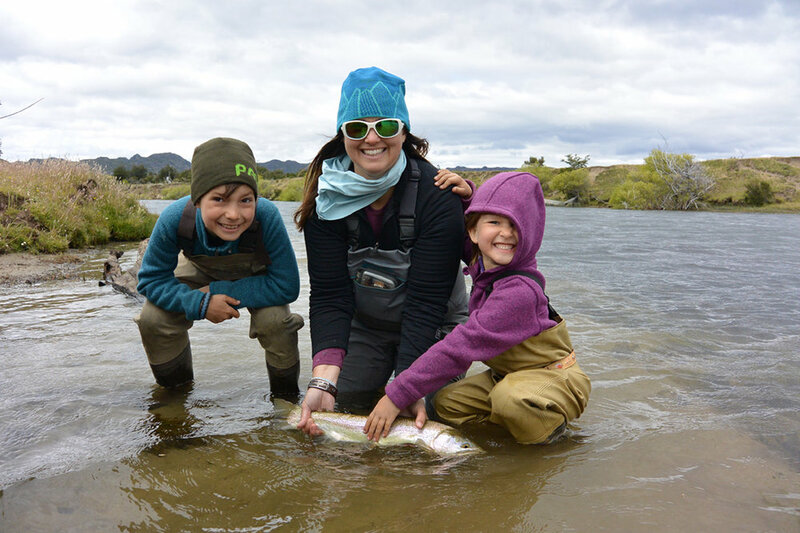 However, a major caveat is that C&R will be a more effective conservation tool if best practice guidelines stemming from the science are understood, embraced, and adopted by recreational anglers. In recognition of this, Keepemwet Fishing (KWF) has emerged as a nonpartisan movement to provide simple, clear, and accurate C&R guidelines that transcend species and subcultures within the recreational angling community". Full report here. What happens to bonefish when there are sharks around? My happy place is wading a tropical flat for bonefish. The subtle complexity of flats ecosystems fascinates me and the diversity of catchable species means that there could be another fish just beyond my sight line. The predators that are often found on flats also keep things lively, but makes fishing and practicing catch-and-release a much more dangerous game for the fish. While there have been several studies examining the rate of mortality/predation of bonefish in the Atlantic, this is the first study to look at post-release predation in the Pacific on Albula glassodonta. It’s also the first study to look at post-release predation in an area that is very sharky (why yes, that’s a technical term). The small atoll in French Polynesia where this study was conducted has a huge abundance of blacktip reef sharks. They follow anglers on the flats like puppies and it’s not uncommon to see over a dozen sharks on a single flat. Understanding how bonefish fare in this type of situation is essential for our understanding of the impacts of catch-and-release. Study 1: caught bonefish and air exposed them for either 0, 10, or 30 seconds. Released the fish with a small visual tracking bobber similar to those used in FINSIGHTS 5. Study 2: caught bonefish and either released them right away or placed them a recovery bag (originally developed for Atlantic salmon, and tested on bonefish in the Atlantic) for 30 minutes to let them rest after angling and see if they could reduce post-release predation rates. Study 1: bonefish with no (0 seconds) of air exposure were much less likely to be attacked by sharks than those with 10 or 30 seconds of air exposure. Bonefish (regardless of air exposure duration) were vulnerable to sharks for at least 20 minutes after release. Study 2: Recovery bags did not help reduce the chance of post-release predation for bonefish. The authors hypothesize that the recovery bags were not effective because, despite the fact that the bonefish inside them were able to rest and be protected after angling, the sharks were still able to “smell” the bonefish and were attracted to the area. Previous studies have shown that angled bonefish excrete stress hormones and that sharks are attracted these hormones. This is the first study to show that even 10 seconds of air exposure can significantly impact the post-release predation rates of bonefish. Despite the lack of effectiveness of the recovery bags used in this study, the idea of finding a way to help fish recover from angling, especially in areas with a lot of predators is definitely worth pursuing and could lead to the development of new techniques for the best practices for catch-and-release. “Have a seat, Jake” the doctor said as she pulled out a small rubber mallet and proceeded to thump me on the knee with it. My leg kicked outward involuntarily. “Your nervous system is in good condition” she assured me. If you grew up on this planet, you know the doctor was checking my knee-jerk reflex. Perhaps lesser known, the speed and intensity of this reaction can indicate internal nerve damage or the presence of disease. It’s a simple external test that indicates what is going on inside of the human body. Fish have reflexes too. And they can tell us a lot about their internal condition, such as their level of stress, ability swim or to perceive predators. This is particularly useful for anglers because fish cannot tell us how they are feeling. If you ask a fish “If I let you go, can you swim well enough to survive?” its response will be inconclusive. Trust me, I’ve tried… more times than I’d care to admit. The idea behind catch-and-release fishing is that the fish will survive, grow bigger to be caught again, and continue to contribute to the population. Yet, we know this isn’t always the case. Fish sometimes suffer mortality after release due to stress or injuries associated with angling (but the odds of this can be minimized substantially by using best practices - see this paper for an overview). Whether or not a fish survives depends on its condition, which can be hard to assess as an angler without any fancy medical or veterinary tools. How to do it: With the fish in the water in a net or livewell (scientific holding pen shown here), approach the fish from behind and grab at its tail. Observe if the fish attempts to escape. What it means: If a fish doesn’t try to swim away it fails this test, has at least some level of impairment and could be at risk of mortality - other tests will provide further insights. How to do it: Flip the fish upside down (belly up) in the water and let go. Observe if the fish rights itself within 5 seconds. What it means: If a fish cannot right itself within five seconds it fails this test, and is in poor condition and at risk for mortality. Pro tip: Count the amount of time until the fish rights itself and note whether it struggled to do so. If a fish rights itself quickly and with ease, it is in good condition to swim away immediately. How to do it: Holding the fish in the water, observe for regular, consistent ventilation (opening and closing) of the operculum (gill plates). What it means: If a fish isn’t ventilating at regular intervals, it fails this test, and is highly impaired and at high risk for mortality. How to do it: Holding the fish in water, roll the fish side-to-side, observing whether its eye(s) remain level (passes test), or roll with the body (fails test). While these aren’t true reflexes by strict definition, they are responses that are always present in fish unless impaired due to stress. The above tests are presented in order of operation, starting with escape response. If a fish fails this test, proceed with the righting response test, and so on. If a fish has no reflex impairment, the best course of action is to release the fish immediately to reduce handling time. However, if there is reflex impairment, particularly loss of righting response, anglers can hold fish in a net or livewell until its condition improves. Further, on any given fishing day, if captured fish are repeatedly in poor condition, anglers can consider altering their fishing practices (e.g., use different lures or fish in different locations) to minimize their impact on fish. The concept of using reflex tests as an indicator of fish condition was first developed and applied in the context of commercial and aboriginal seine net fisheries for Pacific salmon (see these two articles for reference) 1, 2. Based on the success of multiple studies in predicting salmon survival using reflex tests, scientists began apply these tests to recreational fisheries. This study found bonefish with impaired righting response are six times more likely to suffer predation post release (see Finsights #5). Another study later showed that reflex impairment indicates that bonefish have reduced swimming and decision-making capabilities post release, which is why they are more vulnerable to predators. Reflex tests are now used widely as measures of fish condition for diverse species such as sharks, great barracuda, largemouth bass, and fat snook. As science continues to develop the relationship between reflex tests, fish condition, and survival, these tools will become increasingly useful for anglers to assess the condition of their fish and make informed decisions about how to treat the fish prior to release. Coral Gables, FL— The Bonefish Restoration Research Project (BRRP), a major initiative sponsored by Bonefish & Tarpon Trust, has successfully induced spawning of wild bonefish and hatched the fertilized eggs into larvae. This is a first for this species, and a major step in the organization’s efforts to spawn and raise bonefish in captivity. The project, which is based at Florida Atlantic University’s Harbor Branch Oceanographic Institute, achieved this milestone during field experiments earlier this month in the Bahamas. A team led by Dr. Jon Shenker of the Florida Institute of Technology and Dr. Paul Wills of FAU-HBOI successfully used reproductive hormone injections to induce final mature eggs in a female that had been captured from the wild in a pre-spawning state of development. The female was stripped spawn and the eggs fertilized by a stripped spawned male, which resulted approximately 24 hours later in live bonefish larvae. Through BRRP, Bonefish & Tarpon Trust, in collaboration with the National Fish and Wildlife Foundation (NFWF) and Florida Atlantic University’s (FAU) Harbor Branch Oceanographic Institute, is seeking to pioneer the methods of spawning and rearing bonefish in captivity as a means of providing fish to replenish the Florida Keys bonefish population as part of the broader restoration strategy. The primary goals of the five-year-long program, which began in mid-2016, are to learn how to spawn bonefish in aquaculture systems, rear the resulting larvae and juvenile fish, and ultimately help target habitat restoration efforts in the Keys ecosystem. Bonefish are integral to Florida’s travel and tourism industry. It is estimated that bonefish, tarpon and other species in the ‘flats fishery’ contribute more than $465 million to the economy in the Florida Keys. Finsights #14 – Why is water temperature so important? It’s been a particularly warm autumn here in New England. Usually we would be at peak fall foliage about now, but I still see mostly green out my window. As someone who would take heat over cold any day you won’t catch me complaining about our delayed progression towards winter, but it has gotten me thinking about temperature and, in particular, the importance of water temperature for fish. Google fish and water temperature and you’ll find a plethora of pieces on the optimal water temperature for different species of fish. There are graphs, tables, and lengthy articles written on the subject. Many anglers are aware that high water temperatures are not good for fish (think of hoot owl restrictions, daily closures between 2pm and midnight, and fish kills in the summer) and it’s all related to the role water temperature plays on fish biology. Almost all fish are cold blooded, with rare exceptions such as tuna and opah. They are ectotherms, which means that their body temperature is a direct result of the temperature of the environment (water), and poikilotherms meaning that water temperature varies and thus so does their body temperature. Each species of fish has an optimal water temperature (an ideal temperature for living and proper functioning) as well as a critical thermal maximum and minimum (temperature beyond which vital bodily functions break down and that can lead to death). Being poikilothermic ectotherms means that many of a fish’s body systems are influenced by water temperature. In fact, water temperature is often referred to as the “master factor” when it come to fish. The rate of metabolism, the chemical process that converts food to energy, is highly dependent on temperature. In general, for every 10 degrees Celsius that water temperature increases, a fish’s metabolic rate doubles. This means that at warmer water temperatures, fish have a faster metabolism and need more food. It also means that at warmer water temperatures fish need more oxygen, a critical component of the metabolic process. However, all else being equal, warmer water holds less oxygen than colder water. A number of studies have demonstrated that water temperature impacts the survival and recovery of fish from angling, but most of the time those studies didn’t directly consider water temperature. This study specifically examines the effect of water temperature on angled fish. • They used bluegill in this study because they were easy to catch and typically live in water with dramatic temperature variations. • At each temperature, after angling they air exposed fish for different durations from 0 seconds to 16 minutes (yes, 16 minutes is a very long time and not very realistic, but most of the times were less than 2 minutes and they wanted to see what happened at an extreme). 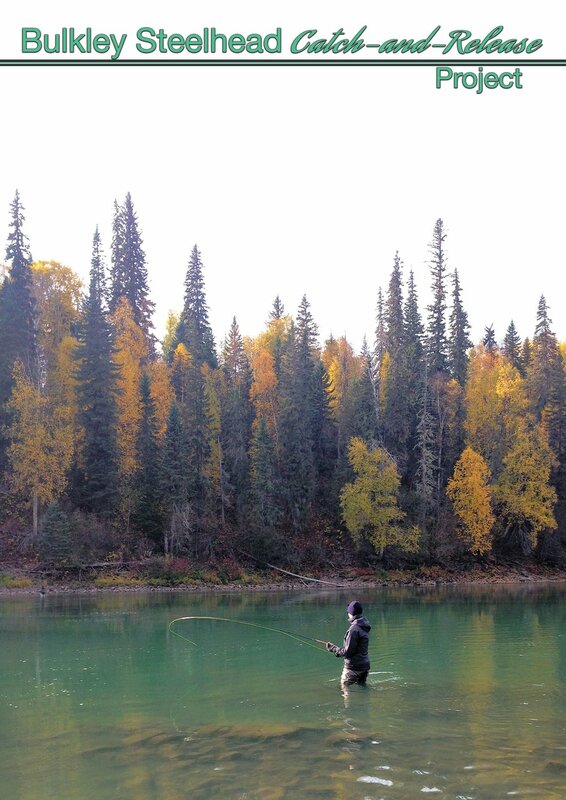 • Time to recover, immediate and delayed mortality (up to 48 hours after angling) was measured for each fish. • Time to recover increased significantly as water temperature increased. • Almost no immediate mortality at any temperature. • Delayed mortality was highest (nearly 40% of fish died) for the high water temperature. Also, more fish died and died faster with more air exposure at the high water temperature. • No fish died at any water temperature with 0 seconds of air exposure. Why is this study important for anglers? • This study underscores that stressors to fish (caused by angling or otherwise) are interactive and/or cumulative, especially when it comes to water temperature. • At higher water temperatures remember that fish need more oxygen (but the water might actually contain less oxygen) and fish take longer to recover from angling. • Food for thought, how might climate change affect fish and fishing? Will fish be able to adapt to warmer water temperatures? Will we see more fishing closures as summers get hotter? Are you already starting to see climate change impacts on your home water? inherent in C&R recreational fishing.